The ultimate experience for amazing holidays! Come and experience the beautiful Greek islands and swim in the best beaches with terguoise waters. And if you want the top experience of vacations there is only one solution! Rent a yacht with an skipper(if you haven’t the corresponding driving license) and visit beaches they neither in your dreams have you imagined. 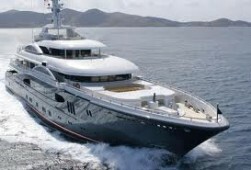 All our yachts are fully insured against hull gear and equipment as well as for third party liability. Our company is ready to help you make your dream come true and help you find the suitable yacht in the best price and for any island you will choose to visit .And not forget that many Greek beaches are among the world’s top!